The Charlotte Stone Crabs recorded a franchise high eighth win in a row by defeating the Fort Myers Miracle 4-2 on Saturday night at Charlotte Sports Park. With the win, the Stone Crabs swept the series, earning them their second consecutive series sweep. 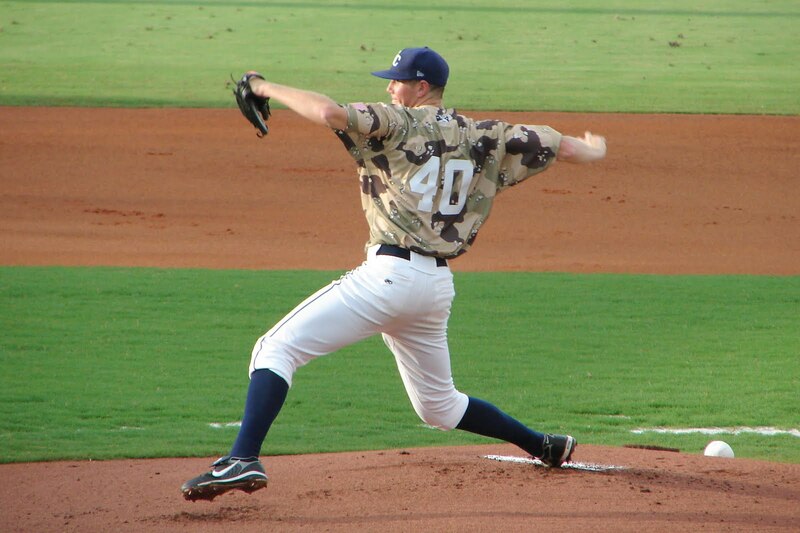 The Stone Crabs capitalized on Shooter Hunt's inability to find the strikezone in the second inning. Hunt walked Michael Sheridan, Anthony Scelfo and Matt Spring to load the bases. Then Matt Hall drew a bases loaded walk that scored Sheridan. Reid Fronk was then hit by a pitch to drive home Scelfo. Then yet another walk this time to Tim Beckham scored Spring to give the Stone Crabs a 3-0 lead. Fort Myers pulled to within a run of the lead in the seventh inning. Brian Dozier singled to left with one out to get things started. Chris Herrmann followed with an RBI triple to score Dozier. Herrmann would then score on a double by Evan Bigley to move the Miracle to within a run of the lead 3-2. The Stone Crabs picked up an insurance run in the seventh. Fronk reached base by drawing a walk. Beckham drove him home with an RBI double to give the Stone Crabs the 4-2 margin of victory. Shane Dyer pitched another gem, throwing six shut-out innings to earn his fourth win of the year. Dyer allowed no runs on 8 hits with 9 strikeouts and a walk. Neil Schenk followed with 2 innings on the mound, surrendering 2 runs on 3 hits with 2 strikeouts. Zach Quate picked up his 13 save of the year with a no-hit ninth inning, striking out one. The Stone Crabs (41-25) look to extend the winning streak to nine game when the Jupiter Hammerheads (21-44) visit the Charlotte Sports Park to begin a four game series to close out the first half of the season. Matt Moore (5-3, 3.59) will start game one of the series for the Stone Crabs.